Recognized by its cutting edge technology, Petrobras developed the essential expertise to extract from oil shale. The company has also become the world leader in advanced technology to extract oil from deep-water and ultra-deep water. [ii] Recently, it discovered a reserve of oil and natural gas in the pre-salt layer, which is an 800 km offshore area between the Brazilian states of Espirito Santo and Santa Catarina. Currently, Petrobras controls oil and energy assets in 18 countries besides Brazil[iii], and has 86,108 employees and a market cap of U$ 86.79 billion. [iv] These facts represent an impressive evolution for a company that had to cope with the ups and downs of the Brazilian economy, the military dictatorship, and the redemocratization process. Petrobras is currently facing a major administration and political crisis. The company that was once a business model to be followed and a national pride is now in the spotlight of investigative news and viewed with mistrust. 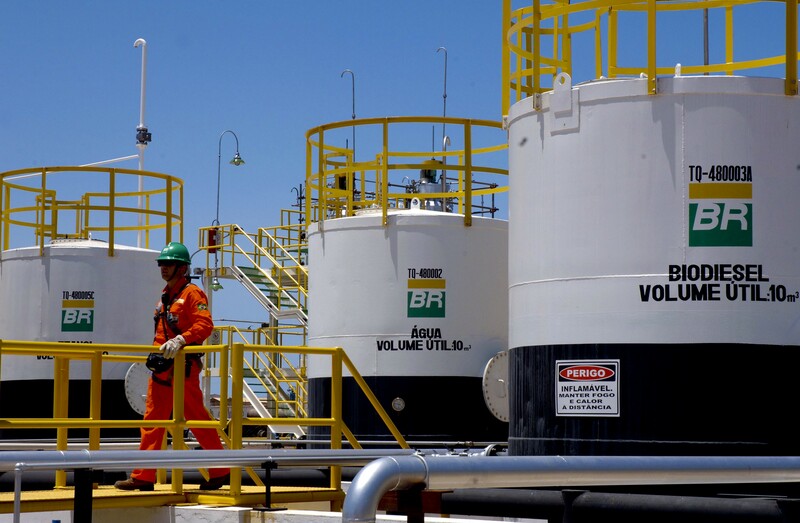 Petrobras businesses might become unprofitable if oil prices continue to fall. Furthermore, the company may not have enough cash flow to finance its operations due to its inability to refinance its short-term debt. On top of the aforementioned problems, the political scandal and the manipulation of the company by its majoritarian stakeholder is deepening the crisis and worsening chances of fast recovery. To exemplify the disastrous consequences faced by investors, the return of those who used their FGTS to invest in Petrobras equity and held it until 2015 was negative 37.32%, while those that sold it in 2010 earned a positive 900%. [xi] What once was a sign of protection and economic well-being is now becoming an international takedown that is not only hurting the Brazilian economy but also the country’s pride. For now, it is only a matter of hoping for a quick turnover. Marcus Vinicius Tenente Ahmar is pursuing his Master of Public Administration in Development Practice at the School of International and Public Affairs (SIPA) at Columbia University. [i] Sanná Pinto, Luiz Fernando. “Petroleum industry in Brazil: governance, performance and politics.” Political, Social & Economic Development in Brazil. Institute of Latin American Studies. Columbia University, New York. 4 Mar. 2015. Lecture. [ii] Responsabilidade Social, and Gerência De Avaliação De Desempenho. “Relatório De Sustentabilidade.”Petrobrás. Petrobrás, 1 Jan. 2013. Web. 5 Apr. 2015. <http://www.petrobras.com.br/lumis/portal/file/fileDownload.jsp?fileId=8AD117AE45F8B8200145FC5C57346339&gt;. [iv] Forbes. “Petrobras.” Forbes. Forbes Magazine, 1 May 2014. Web. 5 Apr. 2015. <http://www.forbes.com/companies/petrobras/&gt;. [v] Amorin, Paulo Henrique. “Trabalhador Aplica O FGTS Na Petrobras E O Globo é Contra | Conversa Afiada.”Conversa Afiada. Conversa Afiada, 1 July 2010. Web. 5 Apr. 2015. <http://www.conversaafiada.com.br/brasil/2010/07/01/trabalhador-aplica-o-fgts-na-petrobras-e-o-globo-e-contra/&gt;. [vi] Pires, Fatima. “Petrobras Detém a Maior Capitalização Da História.” RankBrasil – Recordes Brasileiros. 12 June 2012. Web. 5 Apr. 2015. <http://www.rankbrasil.com.br/Recordes/Materias/06NV/Petrobras_Detem_A_Maior_Capitalizacao_Da_Historia&gt;. [vii] Reuters. “Petrobras Torna-se Maior Produtora De Petróleo Entre Empresas De Capital Aberto.” Reuters Brasil. Reuters, 8 Jan. 2015. Web. 5 Apr. 2015. <http://br.reuters.com/article/topNews/idBRKBN0KH23L20150108&gt;. [viii] Sanná Pinto, Luiz Fernando. “Petroleum industry in Brazil: governance, performance and politics.” Political, Social & Economic Development in Brazil. Institute of Latin American Studies. Columbia University, New York. 4 Mar. 2015. Lecture. [ix] Souza, Beatriz, and Talita Abrantes. “8 Respostas Para Decifrar (por Ora) O Escândalo Da Petrobras.” EXAME.com. EXAME.com, 10 Sept. 2014. Web. 5 Apr. 2015. <http://exame.abril.com.br/brasil/noticias/o-que-ja-se-sabe-sobre-o-escandalo-envolvendo-a-petrobras&gt;. [x] Sanná Pinto, Luiz Fernando. “Petroleum industry in Brazil: governance, performance and politics.” Political, Social & Economic Development in Brazil. Institute of Latin American Studies. Columbia University, New York. 4 Mar. 2015. Lecture. [xi] Yazbek, Priscila. “Fundos que aplicaram FGTS em ação da Petrobras estão na pior.” EXAME.com. EXAME.com, 09 Jan. 2015. Web. 5 Apr. 2015. <http://exame.abril.com.br/seu-dinheiro/noticias/fundos-que-aplicaram-fgts-em-acao-da-petrobras-estao-na-pior&gt;.